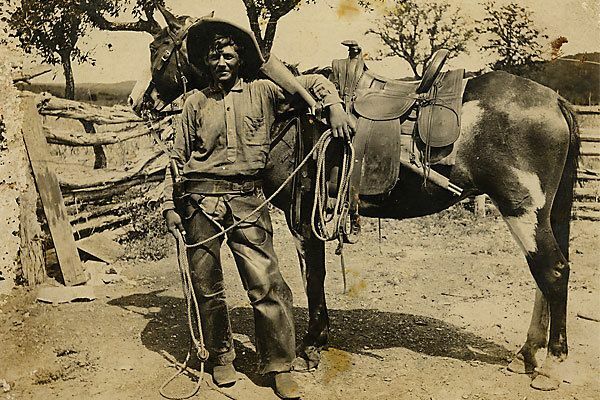 Judging by the saddle style, this unidentified cowboy was working in the late 1870s or 1880s. 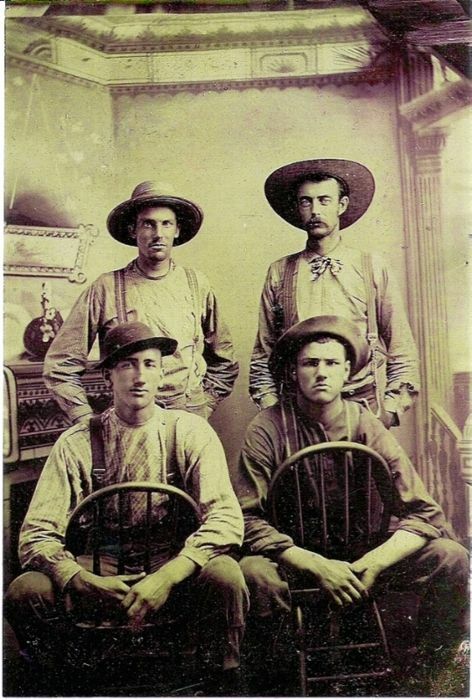 In his holster, he carries a Colt model 1873 single action revolver with hard rubber grips,and he has looped his left arm around a Winchester model 1873 carbine in a saddle scabbard. On the back of the photo is the light pencil inscription "Indian fighter." 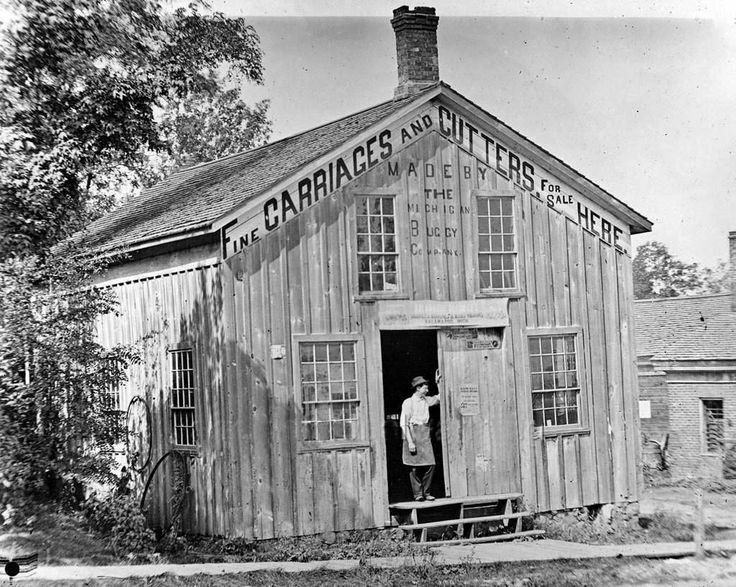 1899 Concord, Michigan "Buggy & Wagon Shop"
Thankful someone took the time to photograph this type of beauty - April 1937. 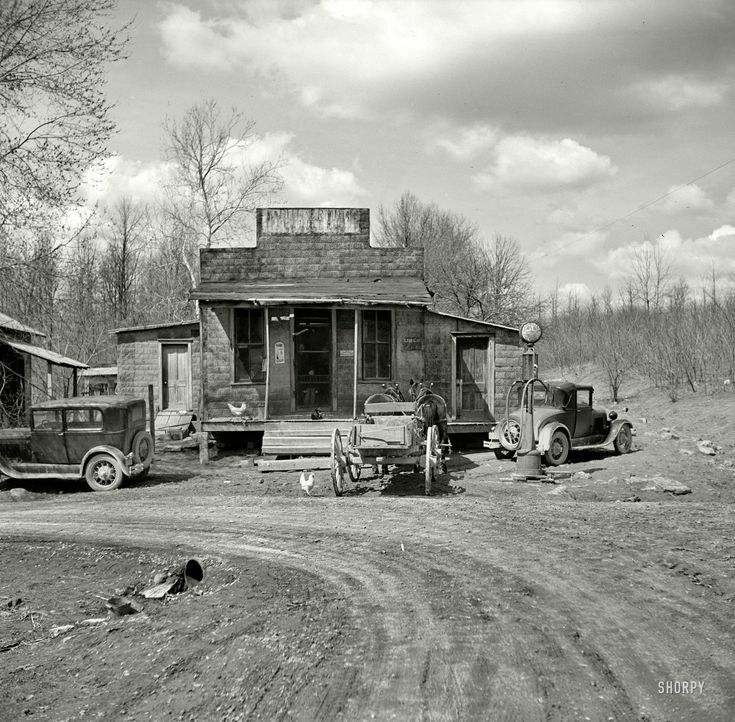 "Buttermilk Junction, Martin County, Indiana." 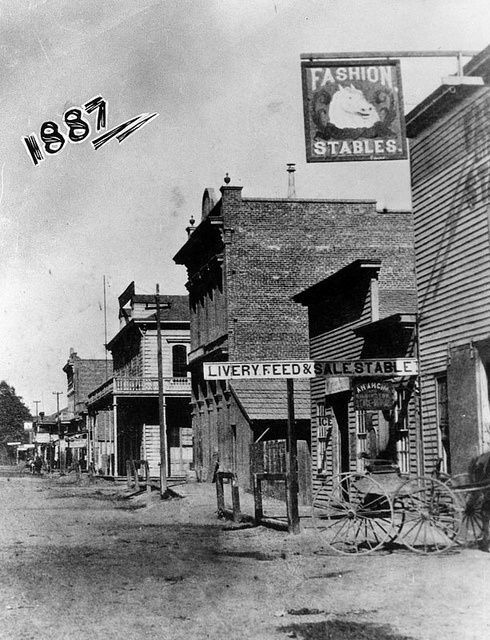 1887-West Center Street, Anaheim, California. Now we have Disneyland here! 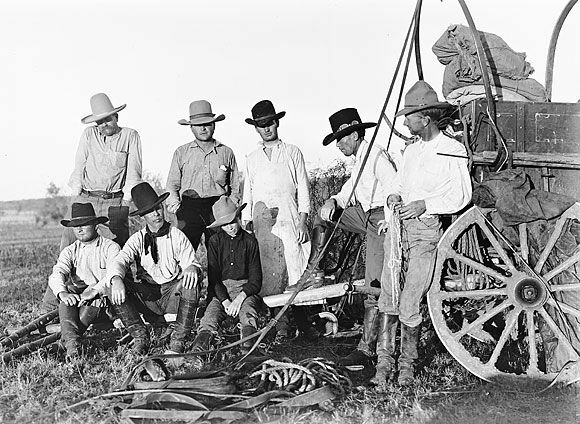 This is what real cowboys looked like in 1887. Not as fancy as on TV, huh! Some of the toughest, bravest people we know of. They gave it their all to go west and start a new life. 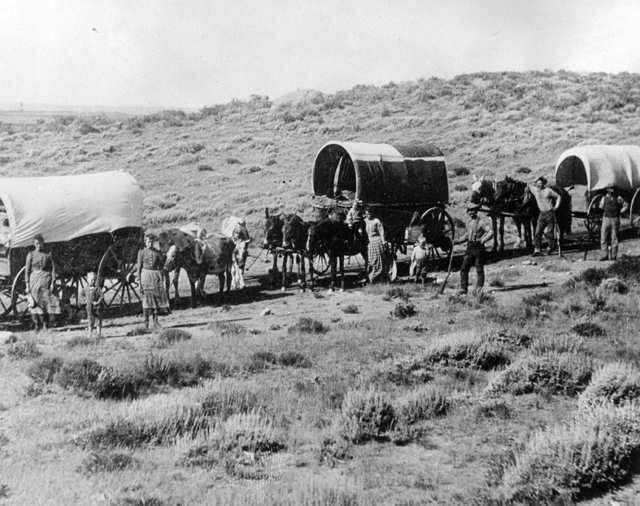 This wagon train is in eastern Colorado in 1880. 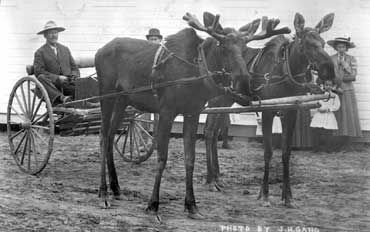 This moose team belonged to W.R. (Billy/Buffalo Bill) Day. They were found by a Metis near Baptiste Lake in 1910 and were reared by bottle and broken to drive by Mr. Day at Athabasca Landing during the winter of 1910. Mr. Day and the moose team hauled mail and supplies. 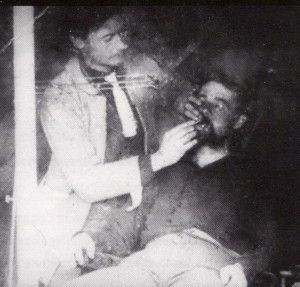 In the American Civil War, soldiers were required to have at least four opposing front teeth, so that they could open a gunpowder pouch. Some draftees had their front teeth removed to avoid service. In our day they just jumped the border into Canada. 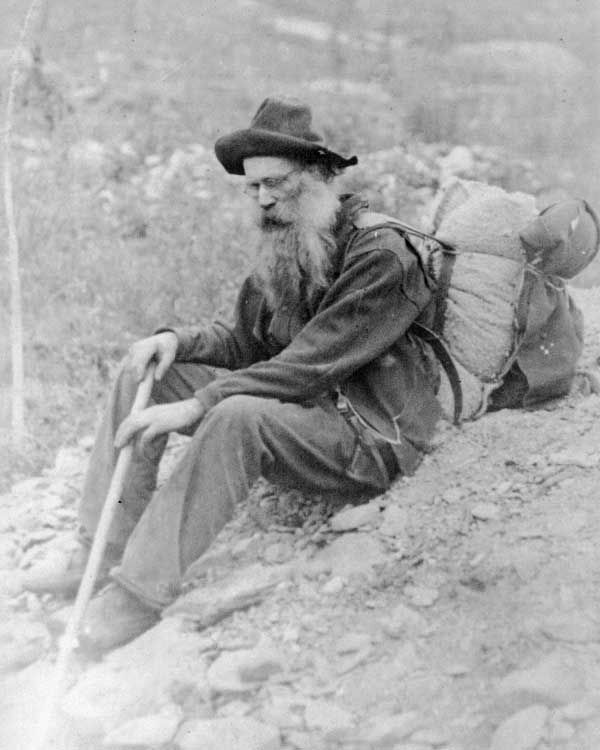 Here we have a tired old prospector during the Klondike Gold Rush. 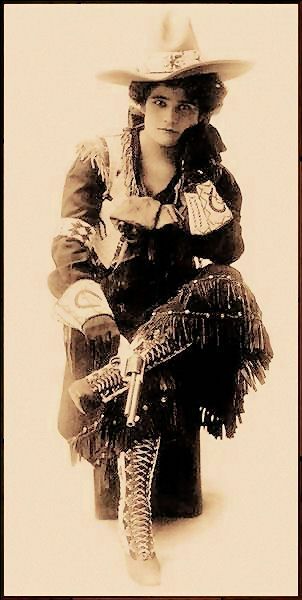 Lulu Parr - Her skill with the gun caught the attention of Pawnee Bill, who signed her to his show in 1903. She left that show but came back in 1911. By that time, Pawnee Bill had joined Buffalo Bill's show. Buffalo Bill was so in awe of Lulu's willingness to ride unbroken ponies that he presented her with an ivory-handled Colt single-action revolver, engraved with "Buffalo Bill Cody to Lulu Parr—1911." From the drivers seat of a 40 mule team. These rigs were used to haul Borax out of Boron Ca. & then loaded onto railroads for manufacturing. All this so you could do the laundry! 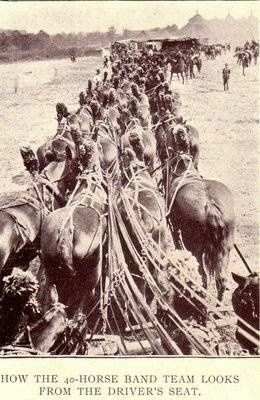 Man, that's a lot of horses! 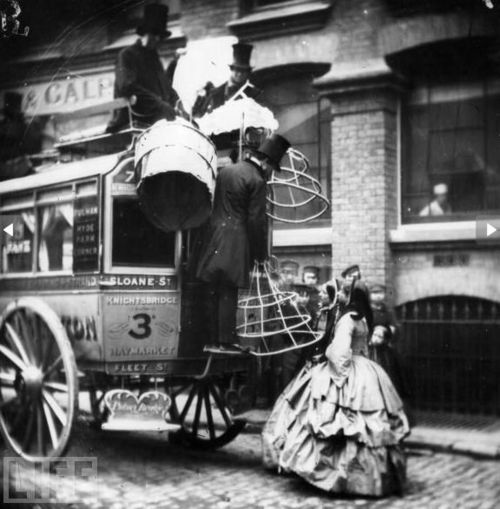 Hoops had to be removed before taking your seat in a carriage and then they were hooked onto the back of the carriage. 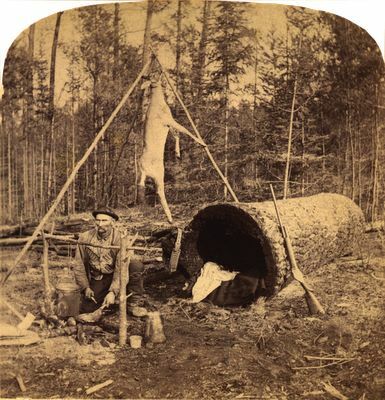 Deer Hunter Living In A Log , 1893. Tough guys live in tough places, I guess. Home is where you make it! 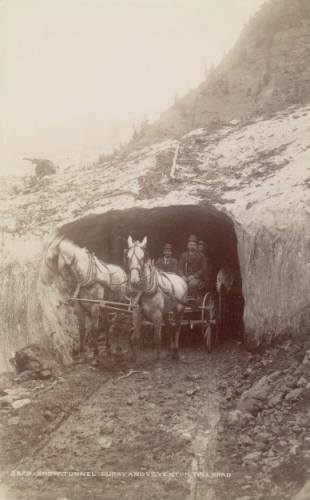 Omaha Board of Trade in Mountains near Deadwood, April 26, 1889. 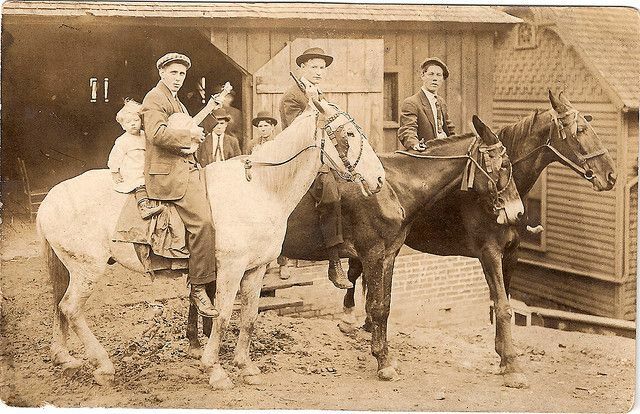 It was created in 1889 by Grabill, John C. H., photographer. 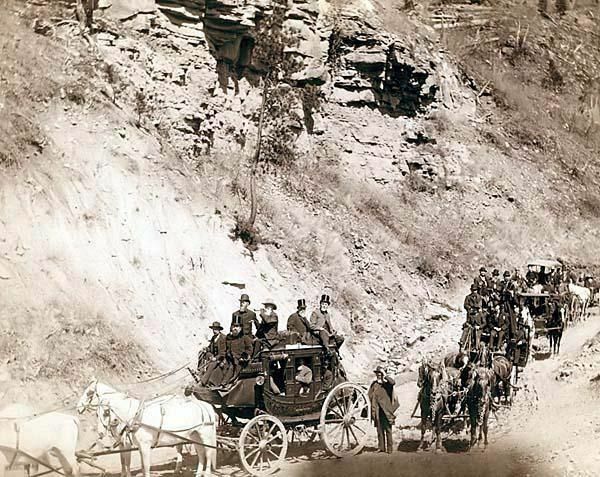 The picture presents Procession of stagecoaches loaded with passengers coming down a mountain road. 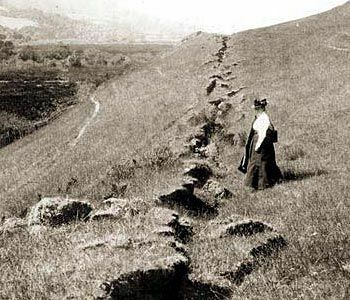 This is a stunning photograph from 1862. 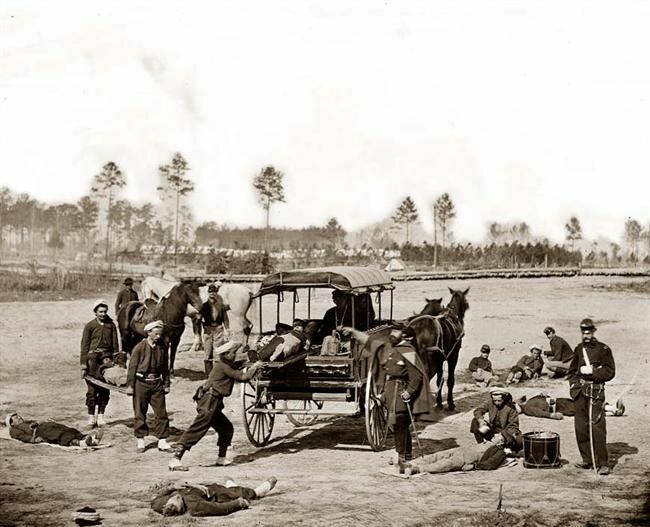 The image shows a Civil War Ambulance crew removing the wounded from a battlefield. It shows a horse-drawn ambulance, and the Zouave uniforms of this unit.